Can't believe I met Grace Chatto, the cellist from Clean Bandit. 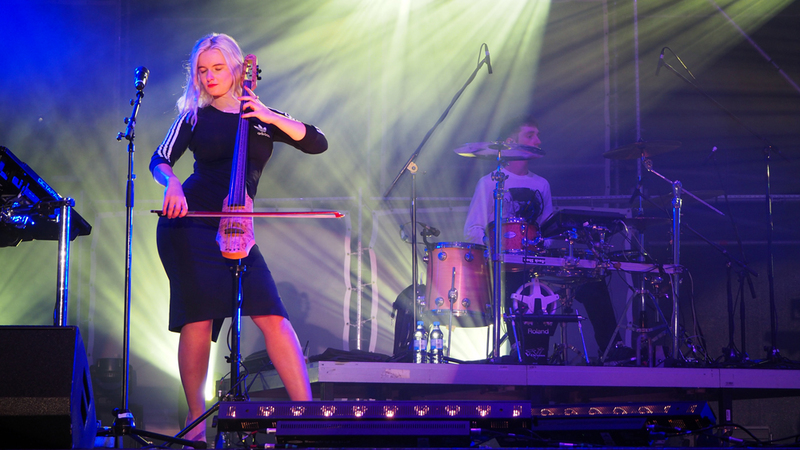 I saw Clean Bandit perform in 2014 in Utrecht and when I saw Grace playing her NS Design electric cello I knew it was the one for me. It took me one year to save up to buy it and now I finally have it. I called it Grace. Anyway the night before I was supposed to fly to Germany for the yearly adidas Global Brand conference I was reading the lineup for the festival they organised and I saw CLEAN BANDIT on the list. WTF!!! Wow I was so happy! I was going to try to meet Grace! As I arrived at Nuremberg airport I was thinking about how I could meet Grace and who I could contact... I came up with a plan and 1 hour later I was snuck in and was watching their sound check! After a long rehearsal (they were not really warmed up yet and the singer was still finding her flow) they finished and as they were about to leave, I was invited to come and talk to Grace. I nervously chatted about having the same cello, and she said she was still not used to it yet and had to look at the frets. It was a bit awkward and very quick, but I thanked her for inspiring me and got a photo together. That was enough! It was a cool festival. 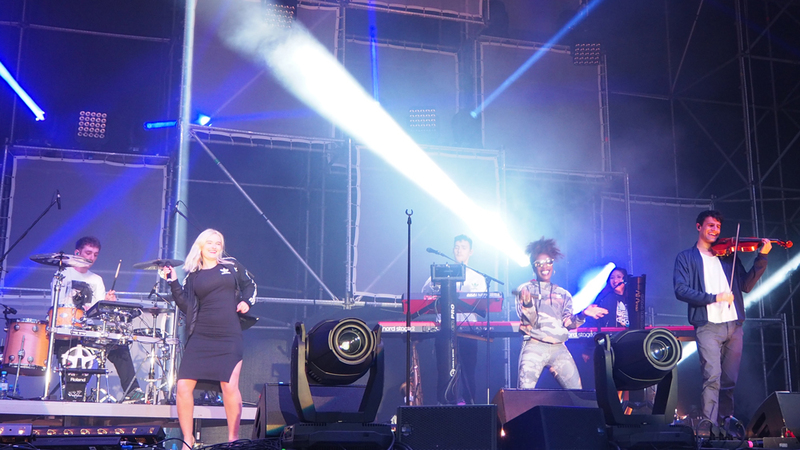 Jungle was the first act, followed by Clean Bandit and then Stormzy. There were food trucks in city themes, and a hot air balloon on a crane. 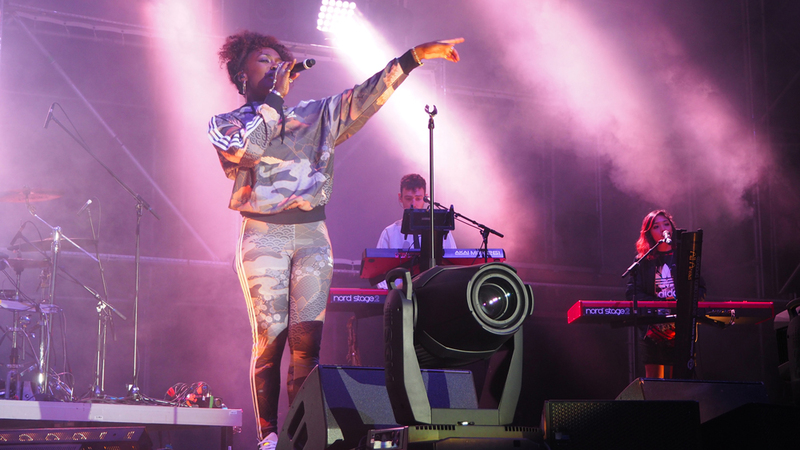 It was an amazing show put on by adidas, and leaves us feeling proud and inspired.